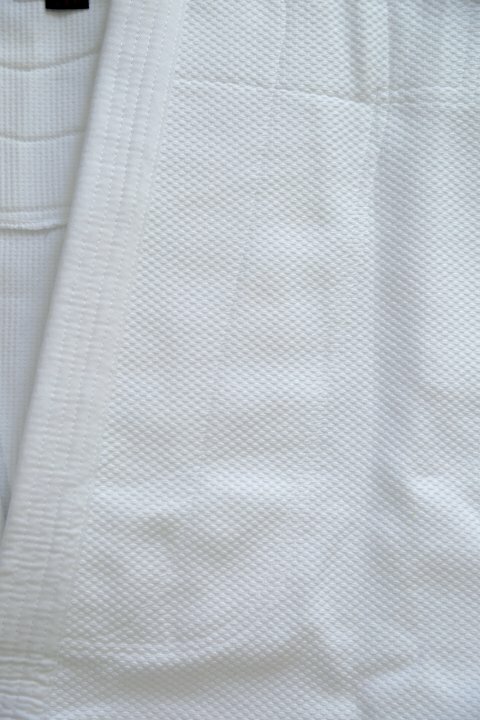 Until a few years ago, there weren't any dogi made for the practice of Aikido, so aikidoka used dogi based on the classic judogi--and many still do. In fact, true aikido gi are still quite difficult to find outside Japan. 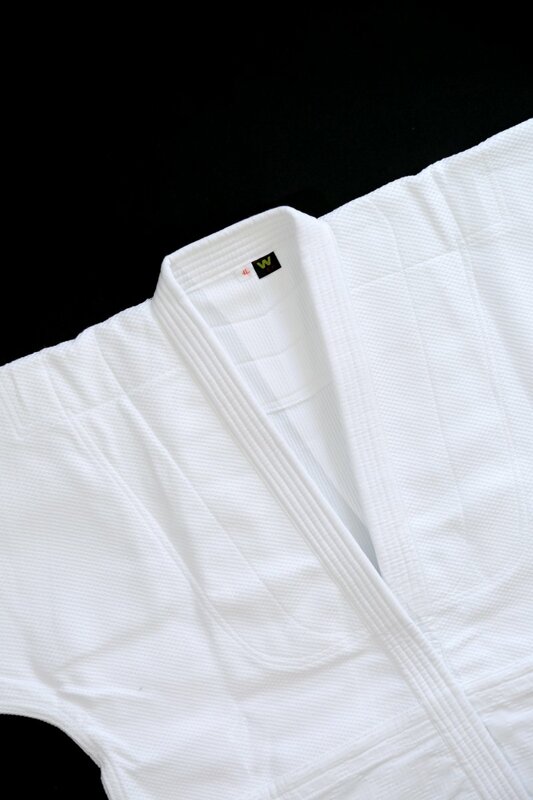 The design of aikido gi we propose makes them ideally suited to the rigours of Aikido practice, and our four main models meet the needs of just about all students. They are entirely made by two of the oldest workshops in Japan using bleached cotton fabrics woven on the premises. Turning to the important question of ensuring you end up with the best dogi size for your own particular physique, our tried-and-tested approach to fitting--we fit to the chest to maximise comfort--allows you to do just this. Efficiently and without any lingering doubts. In addition, once you have picked the best size, you can customize further if you wish: For the jacket, Length (A), Width (B), and Yuki (C); for the pants, Leg (E). Length (A): Measure from the lower edge of the center collar to the hem. Leg (E): Pant length from the top of the waistband to the end of the leg. Each of the models we propose has the features listed below. Fabric surrounding the jacket's upper collar reinforced by a second, underlying layer of fabric over the chest and on the upper back. 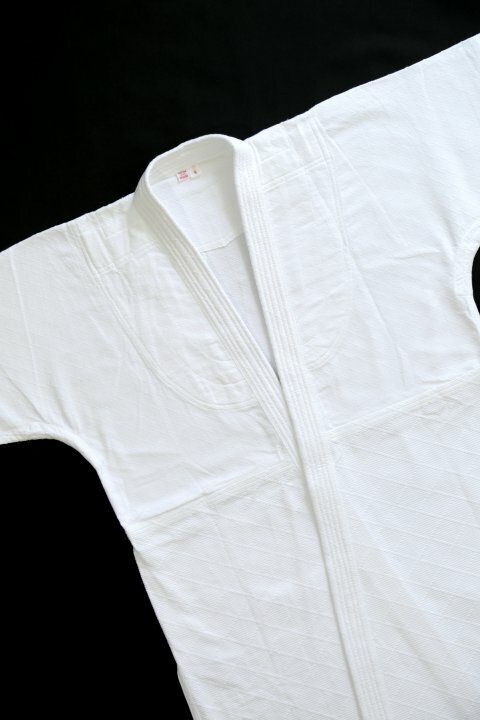 The overall structure and lapels of the dogi jacket ensure they are suited to the grabbing involved in some of the attacks in Aikido. Except for the heavyweight model, the pants are single thickness. Described in detail below are the four main models we propose--they're in bleached cotton--two heavier-weight models also in bleached cotton, and two models in unbleached cotton. Please note that, due to production issues, there are now long delays on this model, and you are advised to order the Premium Lite Single Layer AK150 (below) which is of a similar quality--possibly higher--slightly lighter and almost identical in sizing. 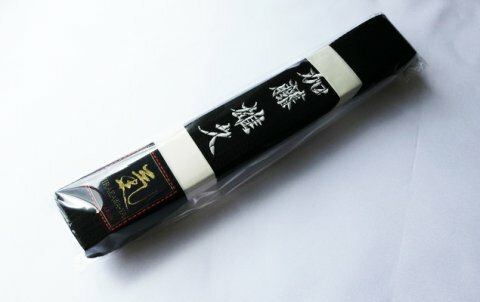 This standard weight model--neither light nor heavy--is suitable both for the practice of Aikido and that of Judo: recommended for practitioners at all levels, historically it is the most widely-used in Japan and internationally. Jacket Structure: Upper part in a strong and absorbant, classic single sashiko weave raised all over ("rice grain") giving it the thickness; thinner lower part only raised to create the lines forming the diamond pattern (hishizashi). The reinforced collar is in a twill and has no pattern. Jacket/Pants Weight (Size 4): 1.15 kg/0.5 kg. This new extra lightweight model is in a durable but thinner fabric than used for the Single Layer Aikidogi. It is highly breathable,excells at heat and sweat release, and has been enthusiastically received by practitioners at all levels. In fact, many aikidoka go further and claim it offers greater freedom of movement. The lightness of the fabric makes it perfect for year-round use in countries with a hot climate as well as in Nordic countries where the dojos are heated in winter. And, of course, for summer use in all countries. Its weight and the fact it's fast-drying make it ideal for use when traveling for seminars. 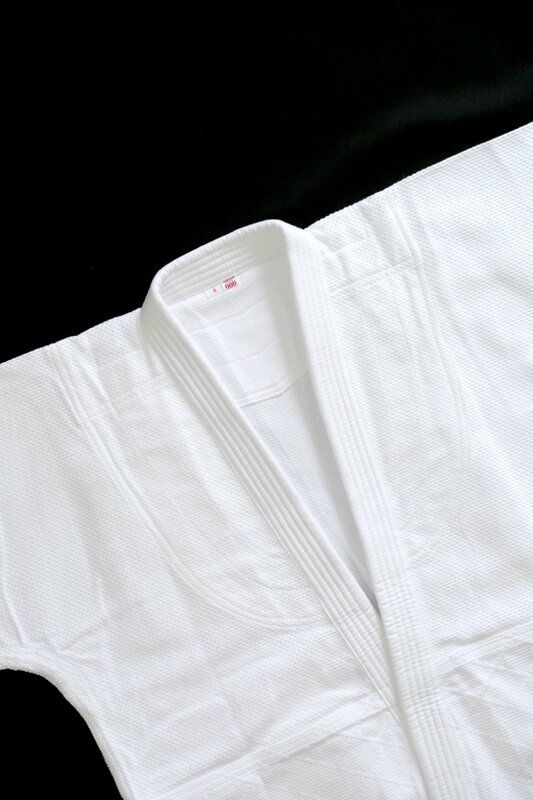 With a dogi jacket weighing in at about 150gm less than the Premium Single Layer Aikidogi (AK200) but equally strong, this model presents the perfect compromise for aikidoka looking for lightness but still wanting the reassuring feel of a classic aikidogi weave. However, while the cut (Length A and Yuki C) is close to that of AK200, the Width (B) is slightly bigger. Owing to the pricing policies of the manufacturer and the fabric thickness, in spite of the high-quality workmanship, this dogi is very attractively priced. 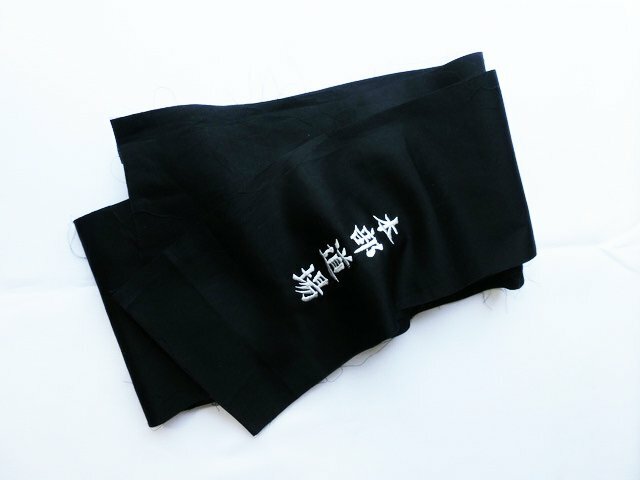 Ideally suited to the practice of Aikido worldwide, in all seasons, and for all levels. 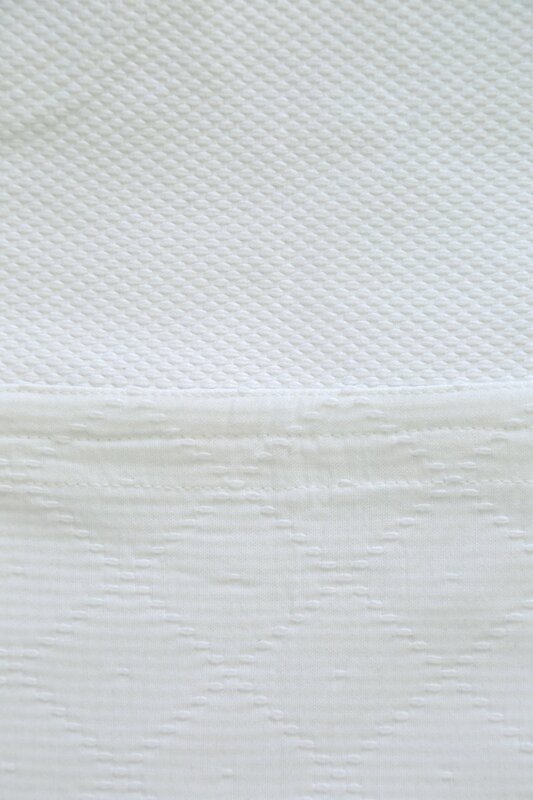 Jacket Structure: Upper part in strong and absorbant, classic single sashiko rice-grain weave; thicker lower part only raised to create the lines forming the diamond pattern (hishizashi). The reinforced twill collar has no pattern. 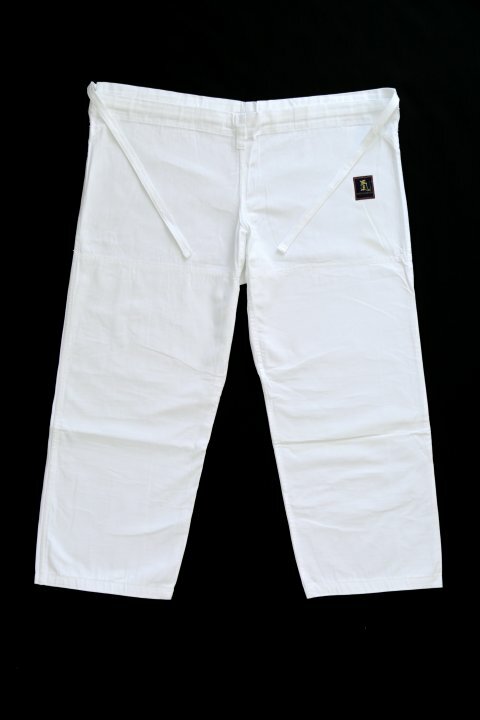 This is the lightest in the range of heavyweight "Judo-type" models: made in pre-shrunk cotton, it is cut slightly wider than the AK200. Because of this, it is advisable to choose a size smaller than indicated by our fitting table. Please note that, although it may be stiffer than the single-layer model when you first get it, the jacket will soften up with practice and repeated washing. Recommended for more experienced practitioners and teachers--as well as during demonstrations--it will be favored by aikidoka who are more used to wearing a classic, heavyweight dogi during keiko. 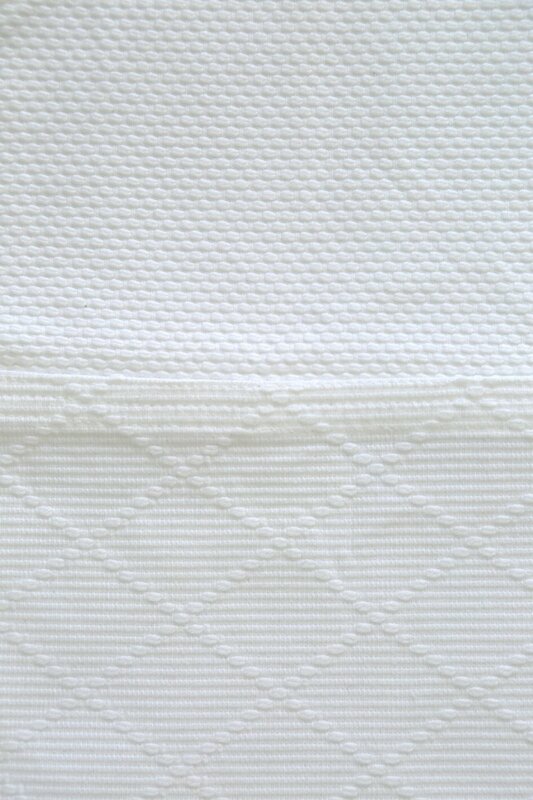 Jacket Structure: Same upper and same lower weave styles as used for the Single Layer Aikidogi; but both parts of the jacket (upper and lower) are in a double weave--not two layers but simply a thicker weave--making it about fifty percent (50%) heavier.The reinforced collar is in a twill with no pattern. Jacket/Pants Weight Size 4: 1.5kg/0.5kg. 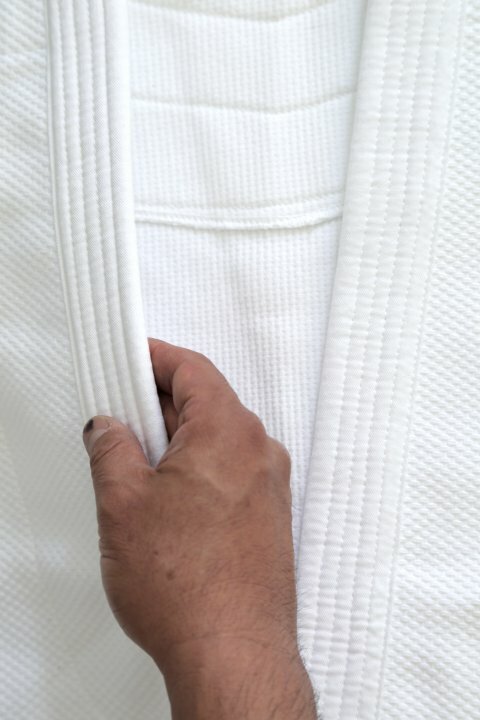 For aikidoka who are more ecologically minded, we also offer the Premium Lite Single Layer (AK150) and the Premium Double Layer (AK300) aikidogi in unbleached cotton. This is cotton in its natural state--slightly hard and beige in color--which takes on a softer, gentle feel and gradually becomes cream colored, almost white, after a few washes. It will also shrink appreciably, but this is not a problem for sizing. Simply use the fitting chart to select your Dogi Size, decide on any customization, and order. When the dogi arrives, it will be too big but, after a few washes, it will shrink down to the dimensions stated in the fitting chart. Please note that, for the AK150, there are only six standard sizes (1-6) and L-sizes are special orders. If your size is an L-size and you want to avoid the surcharge, we advise that, if like a slightly tighter fit, you chose the size below; otherwise, for a looser fit and a slightly higher profile, choose the size above. Also, for AK300, sizes 5L and 6 are special orders. Weights are the same as for the bleached versions of AK150 and AK 300, but the prices are 25% lower since the high financial and ecological costs of bleaching are avoided. To order, simply tick the Beige* box next to Size. We are now able to offer two more double-layer models in the heavyweight range: AK600 and AK800. However, they are usually considered to be more suitable for experienced aikidoka, teachers, or demonstrations. Enquiries should be made by email, and will respond with 24 hours. As can be seen from the fitting table, we consider the physical measurement of the chest ("Chest Size") to be the bedrock. Our research and extensive testing has proved it's by far the most dependable measure to determine the dogi size most suited to each individual physique. After all, if the chest is not right, a practitioner can never be comfortable. It can be seen that there really are just six basic dogi sizes (1 to 6), and that the L-version of a particular size does not get you any extra Length or Width. It does, however, get you more Yuki (C) or, in other words, it gets you greater comfort around the upper torso and shoulders--and a longer sleeve. 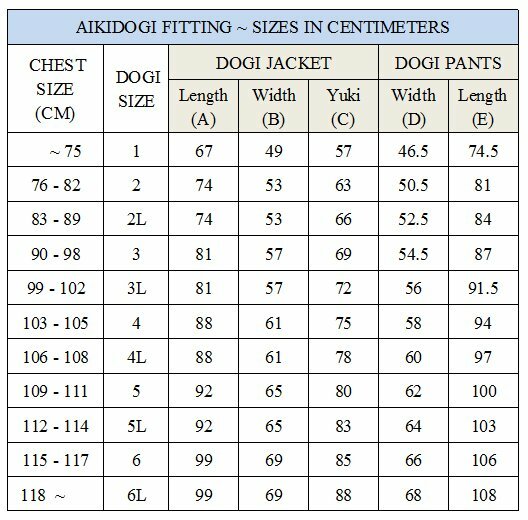 Use the table to determine the correct Dogi Size for the jacket. For example, for Chest Size 104 cm, the Dogi Size will be 4, but for 107 cm, it will be 4L. In borderline cases, say the 105-106 cm range, it's personal taste: some aikidoka choose a larger size (4L instead of 4) for comfort and a bigger profile. N.B. While AK100 models do have a slightly greater length, they also have slightly shorter center-back-to-sleeve-end measurement (Yuki) than other models, but it's only about 2-3 cm. However, they also have a slightly narrower sleeve--overall cross section is about 20% less than for other models--so, if you prefer a wide-fitting sleeve, you might want to consider ordering one size larger, e.g. if the fitting table indicates 3L, order 4. Please note that your current dogi size will almost certainly not be a reliable reference since sizing is different for the other suppliers and--even for them--varies from model to model. BODY STRUCTURE: Our fitting method works well since the upper body--the torso--is usually more or less tubular with the Chest Size roughly 10-15 cm greater than the waist. For other body structures, the solutions are simple. Large Waist: If it's significantly closer to the Chest Size--say a difference of 5-9 cm--the Dogi Size from the table probably won't give you enough overlap at the waist. In this case, make a Special Order (B Option) to get extra Width and accomodate your waist; it also comes with slightly wider sleeves. For example, if your Chest Size is 104 cm, your Dogi Size will be 4 but, if your waist is around 97 cm instead of the ideal 89 cm, you should order Dogi Size 4B. King-Size Waist: If it is close to or even greater than the Chest Size, you could get more Width by going for the B option and a Dogi Size one digit up (e.g. 5B instead of 4 or 4L). However, we advise against as it could be pushing the envelope a bit far, and might result in too much material around the shoulders. A safer option would be a completely tailored aikido gi (30% extra cost). DOGI SHRINKAGE AFTER WASHING: Not an issue for arriving at the best fit because the table already takes this into account. When you have fixed on a Dogi Size, the table gives the standard Length (A), Width (B), and Yuki (C) measurements when the aikidogi is delivered. 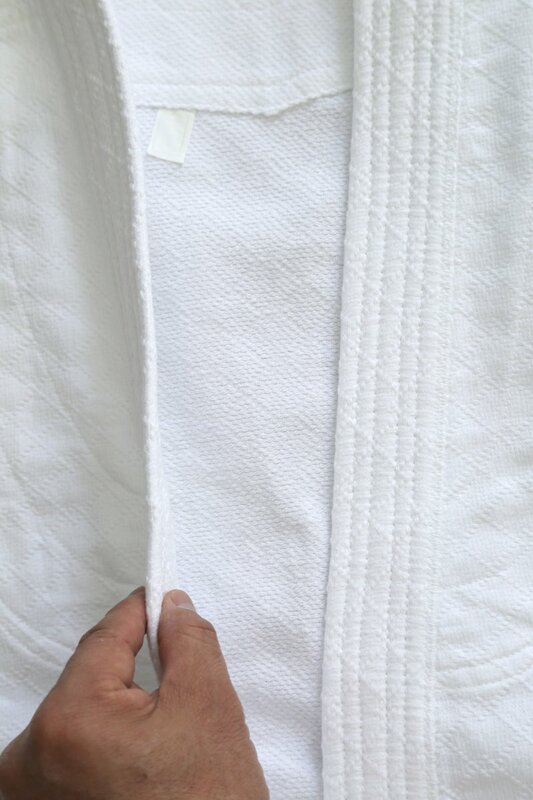 Though all dogi shrink--after a few washes, the Length and the Yuki will get to be 2cm shorter than shown on the table--these measures usually still work well for most aikidoka. But, if not, they can be customized. 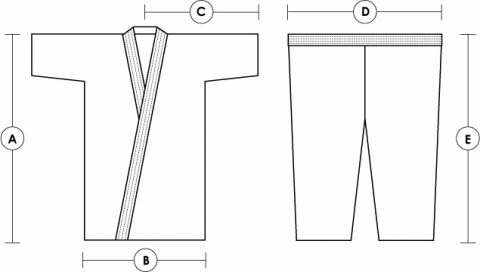 Length: Since our dogi jackets are cut longer, they usually fit nicely inside the hakama and don't stick out through the side vents. To see if you need to customize the Length--a special order--check out your jacket or a partner's. 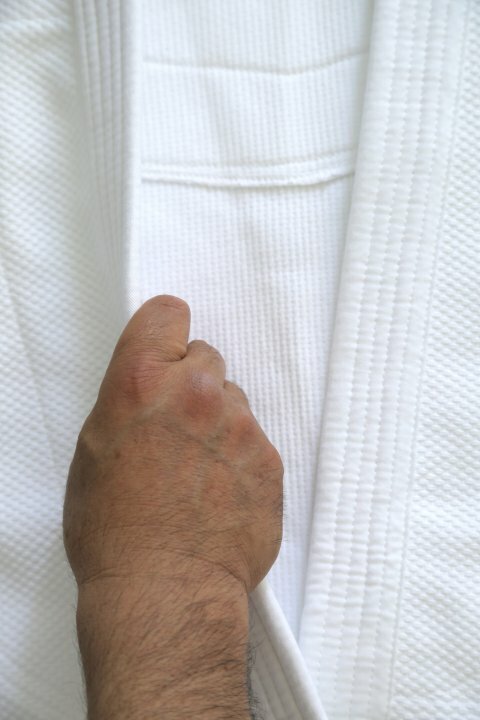 Yuki: Most aikidoka like a sleeve ending between just below the elbow and the upper wrist. Have a partner use a tape measure to check out your body to see if the standard Yuki works for you or if it needs customization. Enter the selected Dogi Size in Section E of the Order Form. To customize the Length, tick Customize Length and enter the Order Length (cm). For the Yuki, tick Customize Sleeve and enter the Order Sleeve Length (Yuki) in cm. Please note there is a single twenty-five percent (25%) fee for the B Option and/or customization--same charge whether it's one, two or three changes. The delivery delay for Yuki customizing is only 5 days but, for the B option and/or Length--special orders--it can be as much as 60 days, depending on season. The munehimo is the tie-cord used for further closing the jacket--usually but not exclusively for women. At chest level, it is visible but, if at a lower level--always above where the belt or obi and hakama straps are tied--it is stitched inside and not visible. The munehimo option is free but, if for both levels, there is an administrative charge of JPY600 ($5.00/€4.50/£4.00). 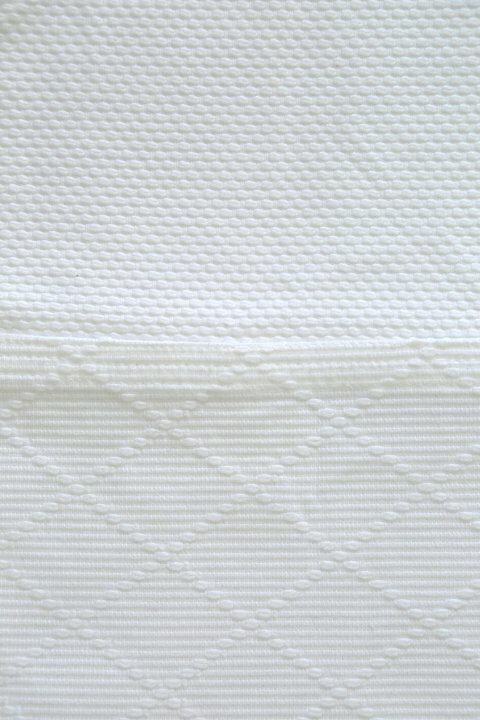 To order, use Section E.
For all models, the deluxe soft, white, bleached cotton belt is considered to be a separate item: the cost of JPY1 500 ($13/€12/£10) for Dogi Size 2-4 and JPY1 950 ($17/€16/£13) for Dogi Size 5-6 is not included in the jacket price. It is not current practice to have this belt embroidered but, when an aikidoka is promoted to shodan and allowed to wear a hakama, it is replaced by an embroidered obi--usually presented as a gift by fellow students. To order the belt, use Section E; to order an obi, see below. First check out the pant Width for the Dogi Size selected. Double the Width (D) should ideally be equal to your waist plus about 25 cm to give you freedom of movement. 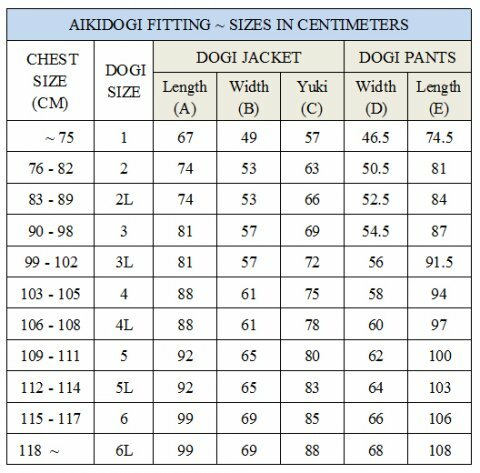 If it's too big, you should choose a Dogi Size one knotch below what's indicated by the Chest Size. For aikidoka with large waists, it will be too small, and you should choose a B version or a bigger Dogi Size for pants. When you have fixed the Dogi Size, the last column in the size table will give you the standard Leg (E) at the front. Aikidoka usually like the pants to hang somewhere between knee and the ankle but not visible below the hakama hem. If they're too long, customize the length. Enter the selected Dogi Size in Section E. To customize the length of the leg, tick Customize Leg and enter the Order Leg (cm). Please note there is a separate twenty-five percent (25%) customization charge for the pants, but the delivery delay is less than five (5) days. Many modern women's upper body structure tends to be tubular. And, in any event, most female aikidoka wear a sports bra for support - invariably with a flattening effect. Bearing this in mind, the fitting approach for women is generally the same as for men, but it is, of course, most important the chest measurement be taken when wearing the bra. However, those with an extra curvaceous body structure may want to choose the B Option for the jacket. However, since the pants are cut slightly large, the table size will normally work fine and, only if the hips are quite large, will a larger pant size be needed to accomodate them. 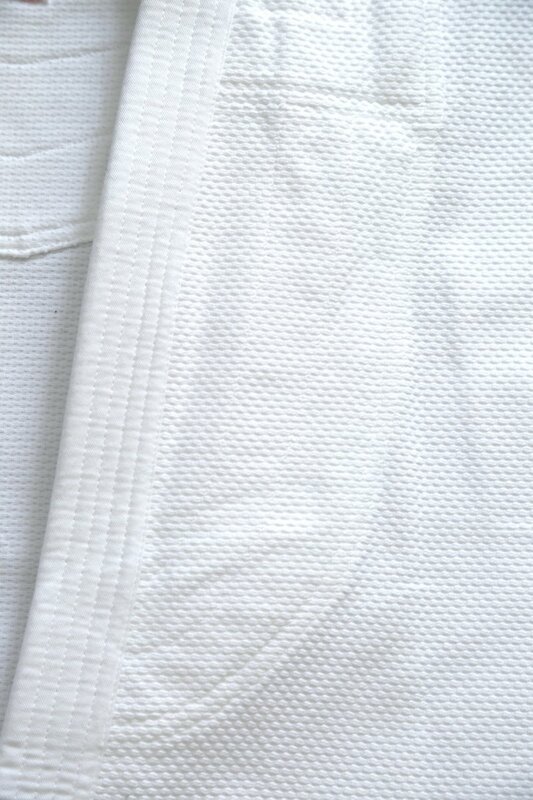 We offer a choice of embroidering your name on the dogi jacket, pants, and obi in katakana--the Japanese alphabet traditionally used for non-Japanese names--or in hiragana or kanji. Embroidery in Japanese characters (at 3 cm height) is charged at the standard rate including translation fees of JPY250 ($2.20/€2.00/£1.80) for each character--minimum JPY500. In Western characters, rates are double. Except for the obi, black is the default option, but we do offer other colors like silver or yellow-gold if you make specific request by email. Embroidery charges are based on normal colored thread, but for the extra shiny silver and yellow gold, the character rate is double. If needed, advise by email. For the jacket, the default option is the name horizontal at the center of the upper left arm. Alternatively, it can be vertical or horizontal on the left chest. For the pants, the default option is vertically on the front hip. Usually the embroidery name, style, and color (black) is the same for jacket and pants. If more than one color or name is wanted, there's no extra charge, but we need details by email. For the obi, the color is not black. 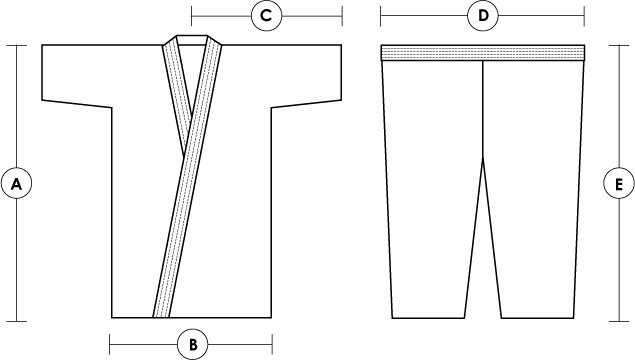 Use Section A for the hakama and dogi character style and, for the hakama embroidery color; Section E is to order for the dogi jacket and pants, and obi. 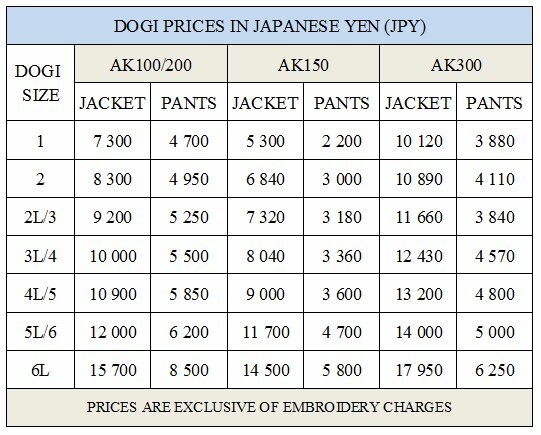 The comparative price chart below will give you the Japanese Yen price for the dogi jacket and pants you have chosen. As a rough guide to the price in your country's currency, divide by 100 and take off 10% for U.S. dollars, 120 for Euro, and 140 for pounds sterling. Note #1: Size 6L is never held in stock and delivery can take up to 6-8 weeks. Note #2: For AK150, Sizes 5L and 6 are special orders. 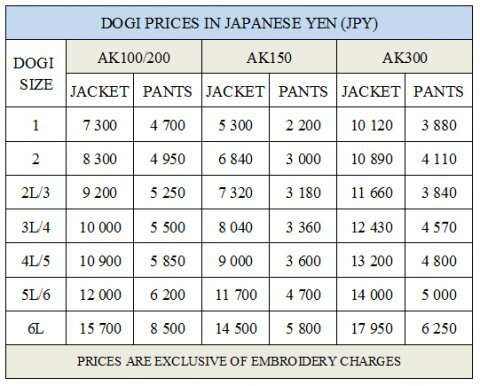 The prices do not include packing and express shipping charges of around JPY4 500 ($39) for the U.S. and JPY5 000 (€39/£33) for Europe--about half that if the dogi is shipped with a hakama. However, even after including the shipping costs, our prices are structured to be comparable or lower than similar quality or customized aikidogi from the major, established Japanese suppliers. This reflects our founder's goal of serving the global Aikido community by only offering the highest quality at a very fair price. In addition, for repeat orders or orders of more than one dogi - even if they are different models or sizes - we offer a twenty-five percent (25%) reduction. And, if the dogi order is made at the same time as a hakama order, a thirty percent (30%) reduction on the dogi. Based on extensive research, our classic, semi-rigid obi are now hand-made in our own workshops to the highest of standards. 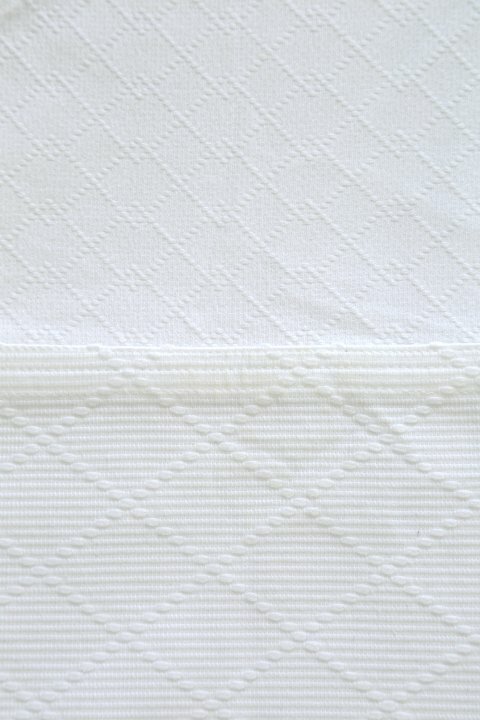 The exterior surfaces are low-shine, satinized cotton with nine precise lines of high-tensile, cotton stitching; the interior is multi-layer, dual-fabric, 100% cotton reinforcement. Length: 240-300 cm according to order; as a general rule, the length is best calculated by multiplying measured waist by four and adding 100 cm. Width is 4cm; thickness, 4.5 mm. Color: Traditionally in black but other colors are available. Embroidery (3 cm characters): Carefully centered stitching integrated into the fabric before construction so, if on one side only, no unsightly threads are visible on the reverse side. if you want embroidery on both sides, the names can be different, e.g. 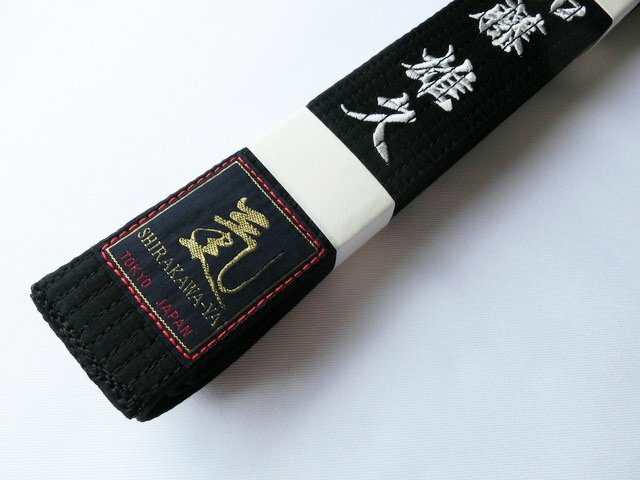 personal name on one side and the dojo name on the other. Charged at the standard rate. 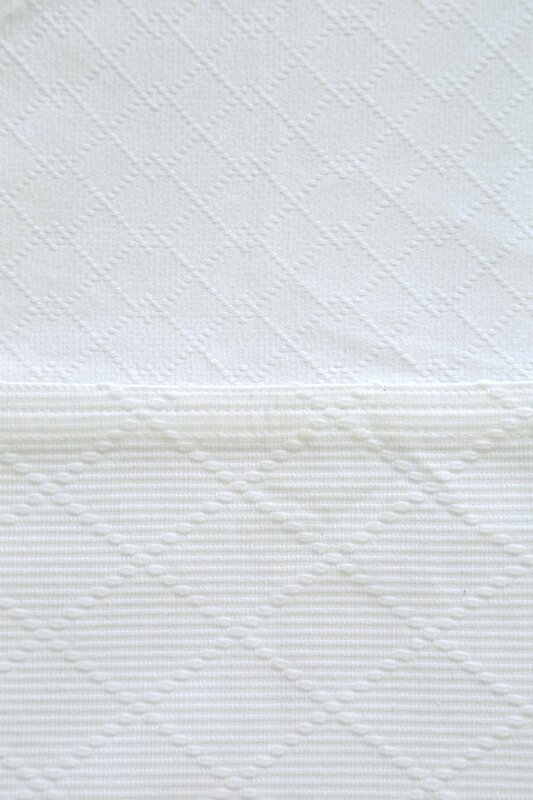 The thinner but wider (7 cm), cotton Kaku obi is a special order, and can be requested by email. It is standard practice to wash dogi after keiko so anti-bacterial treatment is not really necessary. 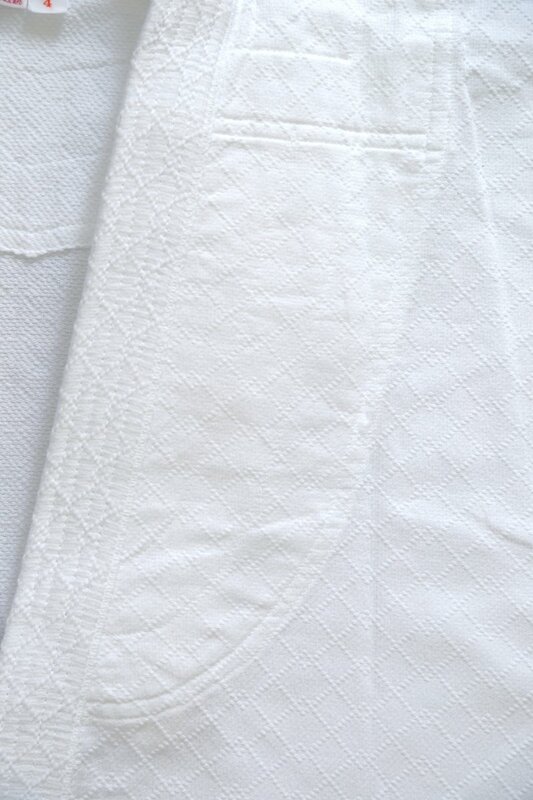 Japanese fabrics are designed for cold washing but, to remove unsightly stains, both jacket and pants can be hot washed; however, the use of bleach is most unwise as it will almost certainly damage the fabric. Dogi must never be machine dried. They should always be dried by hanging them up and, except for the Premium Lightweight Aikidogi model, this can take up to 24 hours. So, if you train daily, you will probably need two dogi jackets, and we offer a discount for this reason. 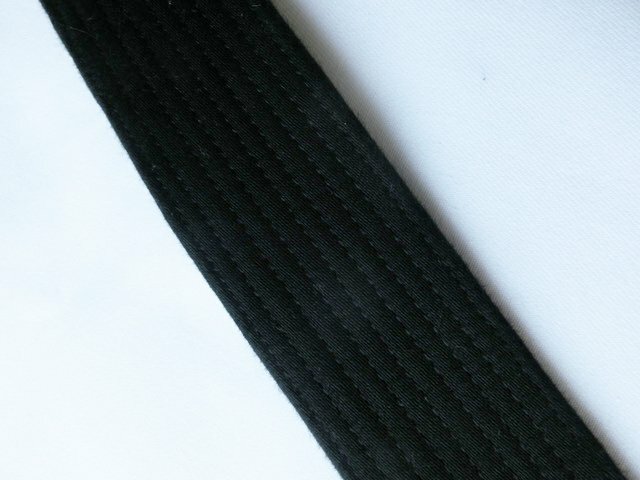 Washed and dried correctly, a single-weave dogi will, on average, last about five years if training three times a week; up to three years if you train daily. Double-weave models will last about twice as long.